In this post I’m going to show you how you can use Google Apps Script with IFTTT to do more than this and that. As part of this I’m going to show you how I got my Wemo Smart Switch to turn on for a defined number of minutes with a Google Assistant applet. On October 24, 2017 Google released Google Apps Script project manifests. 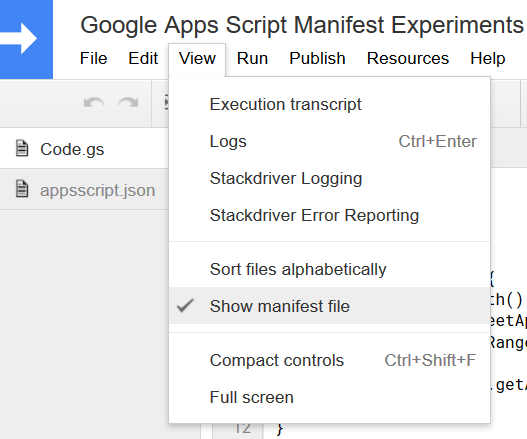 The manifest is used to control script project properties and are also increasingly featured in new Google Apps Script services, in particular, Gmail Add-ons and Data Studio Community Connectors. Given their potential increasing importance this post explains manifest features and also highlights current opportunities for improving the user authentication flow and managing manifest files to aid project management including library versioning. How to setup a Raspberry Pi and OpenCV to count how many faces there are in the audience sending counts to Google Analytics for analysis. 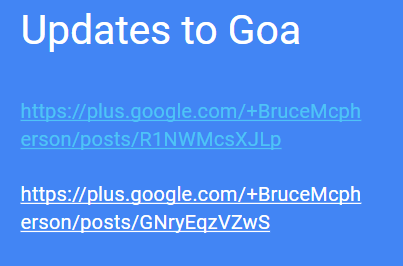 In my previous post I provided a tutorial on using the YouTube Data API with Google Apps Script for situations where you were using branded channels (channels not directly owned by a Google account). In this post I’m going to revisit this topic looking at the YouTube Analytics API.